Imagine an archaeological dig: the site is the present moment. 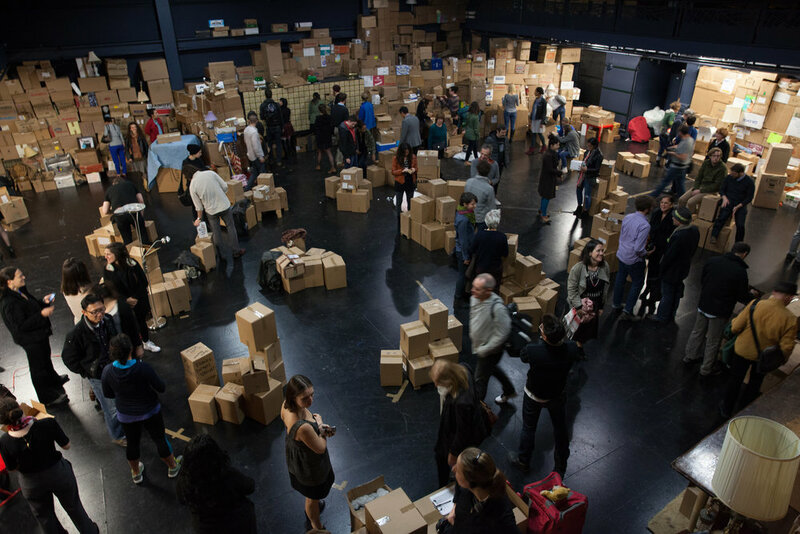 The artifacts: an ever-growing heap of every “thing” that has ever passed through your hands - a massive, meaningful, meaningless pile of junk that describes in debris your tiny human history. 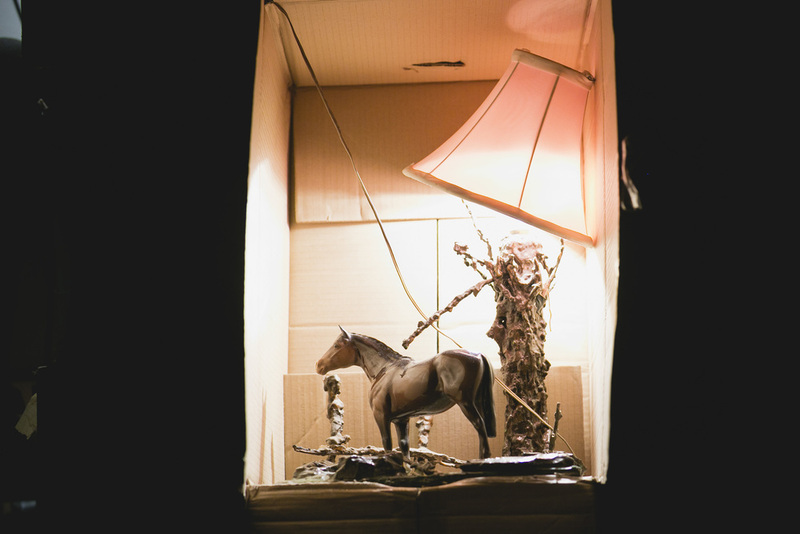 The Object Lesson is a tactile performance-installation for a mobile audience, a solo artist and tons and tons of stuff. 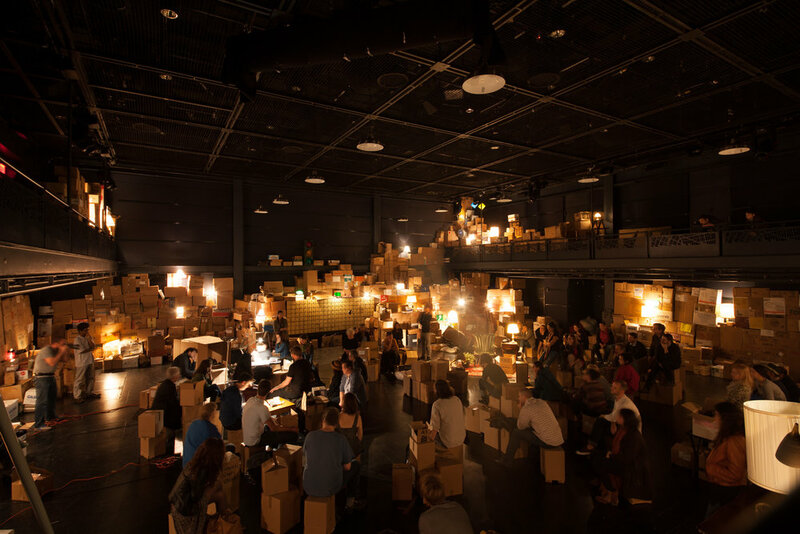 With boxes stacked to the ceiling, Sobelle transforms the theater into an epic storage facility of gargantuan proportion in this immersive theatrical experience that unpacks our relationship to our everyday objects. Breaking, buying, finding, fixing, giving, losing, winning, trading, selling, stealing, storing, collecting, cluttering, clearing, packing up, passing on, buried under... a world of things. 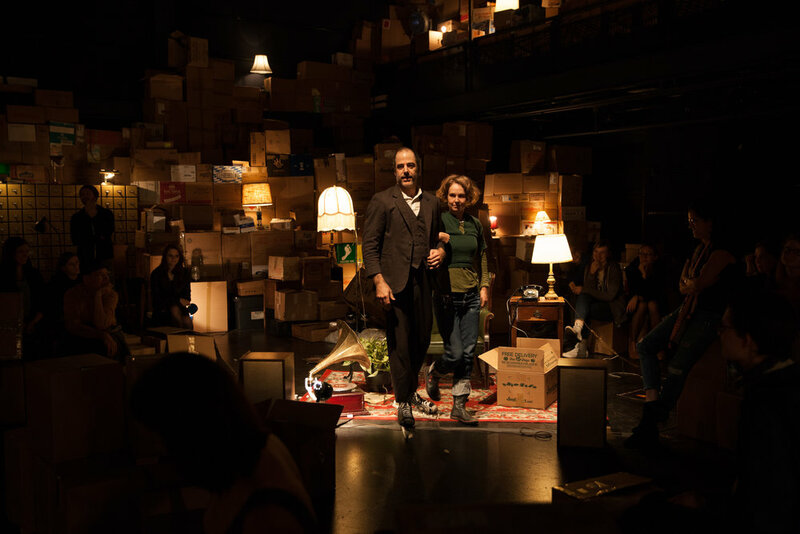 The Object Lesson is a meditation on the stuff we cling to and the crap we leave behind. 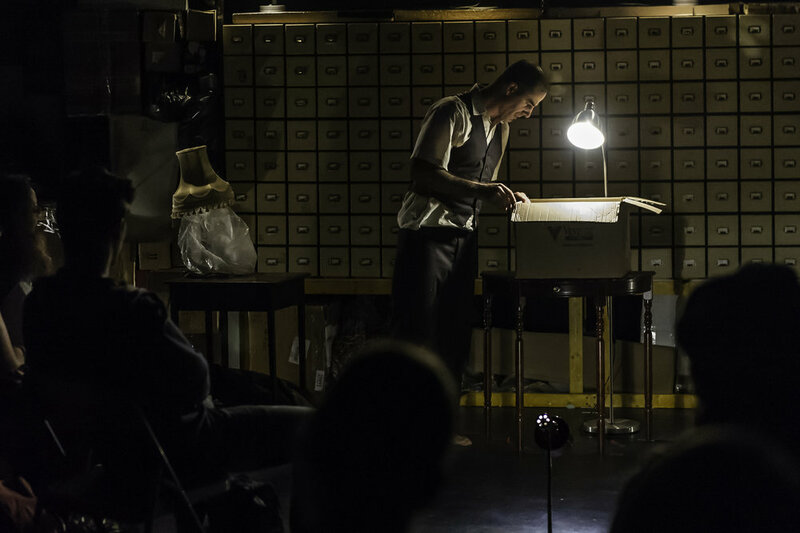 Development for The Object Lesson was supported by The Map Fund, The Wyncote Foundation, The Pew Center for Arts & Heritage, an Independence Foundation Fellowship, the Philadelphia Live Arts Brewery (LAB) program and a commission from Lincoln Center Theater. 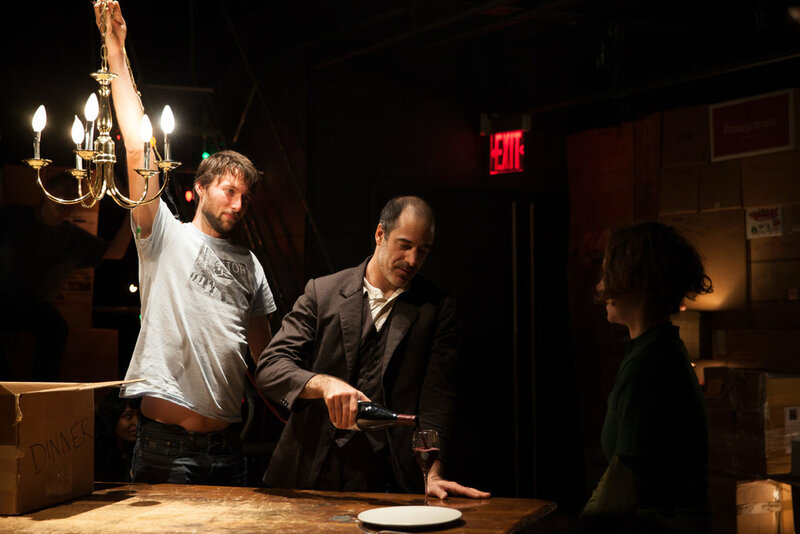 Further development was supported by residencies at The Orchard Project, the Space on Ryder Farm and at The Yard, a multi-disciplinary dance space in Martha’s Vineyard.